Broekman Logistics is a global 3PL service provider, with a strong track record in design, implementation and execution of solutions for specific, complex logistics and supply chain challenges. Broekman Logistics is the specialist in warehousing, handling and distribution of packed hazardous cargo and recognized market leader in the Netherlands. With terminals in the ports of Rotterdam and Eemshaven, Broekman Logistics is perfectly suited to offer its industrial customers in offshore, energy, machinery and chemicals the integrated supply chain solutions they require. “We see a great opportunity to offer increased advantages to our customers by a further focus of optimization and combinations for our customers within our divisions”, according to Raymond Riemen, CEO of Broekman Logistics. To realize this strategy, Broekman Logistics appointed Cor de Man as its General Manager both for the Forwarding activities in the Netherlands and its specialized breakbulk related Project Logistics activities. Cor is a seasoned professional in the logistics and supply chain industry. His career spans from his start at Nedlloyd (Maersk) to KPMG , UTi Worldwide and lately DSV. “My passion is in the transformation of organizations to become and remain successful in a dynamic and competitive environment that requires a high level of client centricity. Broekman Logistics has all the ingredients needed to succeed in this market. It boosts a great mixture of quality people and strategic assets, key elements for a logistic service provider and mandatory enablers towards the provision of optimized supply chain solutions. It is with considerable enthusiasm that I joined the team that supports Broekman Logistics in realizing the transition towards a client centric global supply chain solution provider”. 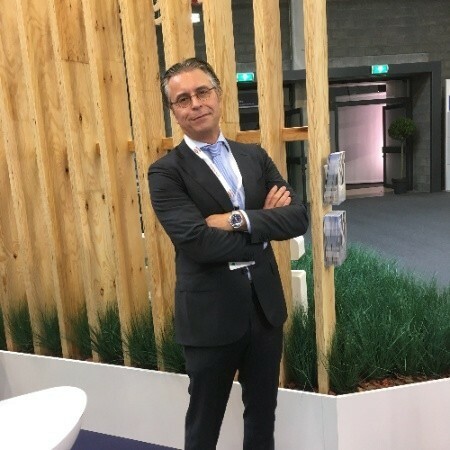 As of April 2018, Broekman Logistics’ Forwarding activities in the Netherlands will be overseen by Rik Pek, Managing Director; “With Cor’s appointment we have a stronger focus on capturing the synergies between our divisions Breakbulk Terminals, Warehousing & Distribution and Forwarding & Shipping, as well as tapping into the digitization of the logistics industry. With our Project Logistics activities, in which we offer total solutions to our customers, we have shown that we can significantly optimize our clients’ operations with a one-stop-shop solution”. As part of this transition, Albert Hoek, Managing Director for International Forwarding & Shipping will focus his attention on the continued growth of the global activities of Broekman Logistics. “Our wholly owned subsidiaries in the logistics hotspots of Central Europe, India and Southeast Asia enable us to offer a true global reach with our well-known personal touch. Next to a further strengthening of our Broekman Networks through selected, long-term partnerships, we are also looking into opportunities to leverage our expertise in chemical warehousing and logistics for the continued expansion of our activities, amongst others in Poland and India”.